The Earthquake Commission (EQC) is committed to a partnership with the UC Quake Centre to help improve community resilience in Christchurch, and throughout New Zealand, following the devastation of the Canterbury Earthquakes. 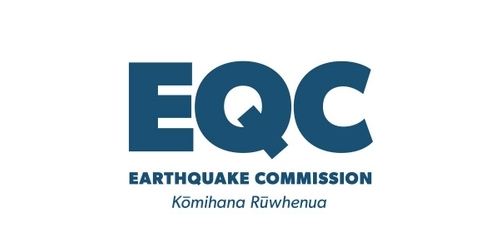 Established under the Earthquake Commission Act 1993 the EQC is a Crown entity, with Ian Simpson at the helm as CEO. EQC provides natural disaster insurance, EQCover, against loss or damage for residential property, administers the Natural Disaster Fund, including its investments and reinsurance, and funds research and education on natural disasters and ways of reducing their impact. Their key objectives are to invest in the improvement of land use planning, building standards best practice guidelines, civil defence readiness and recovery planning all with the goal to reduce communities’ vulnerabilities and the effect of disasters on people’s lives. Research and education play two very important roles in natural disaster management moving forward. The EQC's public education programme includes sponsorship of exhibitions and events at museums and natural history centres, schools’ programmes, publications and web information. The aim of EQC’s research programme is to improve the depth and scope of knowledge and professional practices regarding natural hazard risk. A research focus can improve understanding about the likelihood and consequence of the hazard, the ability to manage the potential exposure to risk and to develop mitigation technologies. From an insurance perspective, the aim of research and education is also to limit the insurance liability and reduce the cost of reinsurance. More importantly though, to limit the potentially devastating human cost to people and communities. UC Quake Centre and the EQC are proud to partner in recognition that, together, they can help communities become more resilient to natural disaster events like the Canterbury Earthquakes.